Skin care products are some thing which are more important then makeup itself. 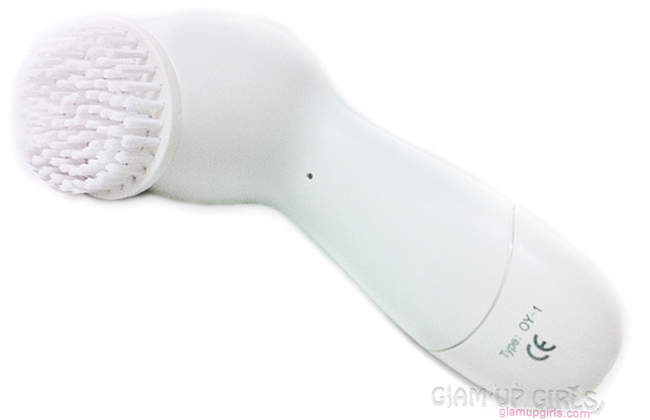 Cleansing system claiming so many benefits for skin make every one desire to try but spending the hefty price on much raved Clarisonic is something not every one will look forward too. 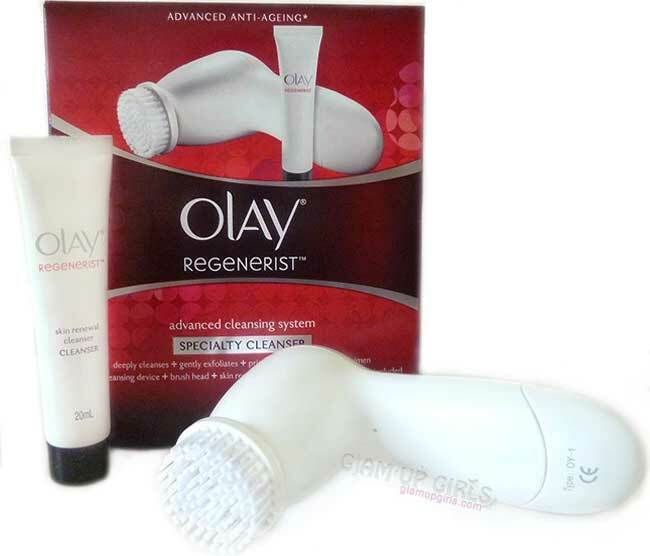 Well for ones with such opinion i suggest to get yourself Olay Regenerist Advanced Cleansing System. How it performs read further to know. The system comes with one handle, cleansing brush, AA battery and cleanser. The handle with good size is easy to hold and use making it travel friendly. The size and shape of brush helps to reach your face contours easily for deep cleansing. The brush can be separated and washed easily which is necessary after each use. It is better to wash brush with antiseptic hand wash or tool cleaners like SigmMagic Brushampoo. The batteries work good for months depending on your usage and then you can easily replace them. The best way to use it is to first damp your face and brush with luke warm water, apply Olay cleanser or any one of your favorite, directly on brush or spread on your face then gently move brush on your face for 60 seconds and on sensitive areas use even less. Do not press the brush on skin forcibly instead let the brush spin and do its work. It is better to use high speed on nose, chin and forehead while use low speed on cheeks. The cleanser which comes with it have thick gel like texture with small exfoliating particles which is bit drying. It is better to not use scrub with this brush as scrubbing/exfoliationg dead skin is the job of this brush which it does beautifully. This system is water resistant so you can use it in shower if you want but it is wise to never use such devices in water to prolong their life. After using this brush wash face with plain water and pat dry with wash cloth or tissue. When they say that this brush cleanses up to 4 times better than using only cleanser then they say it right. Well there is quite difference in both methods and your skin feels more smooth and clean with this brush then other way around. The bristles of this brush is very soft and doesn't bother on even sensitive skin. With few uses you will see noticeable difference in your pores, black heads and white head while making skin healthy and clean. It works even best when you are wearing heavy makeup and need to remove it quickly and efficiently. With few rotations on skin and all the makeup will be on the bristles of brush. Overall this cleansing system with its reasonable price works really good making your skin deeply clean, healthy looking and glowing within. If you wear a lot of makeup or have more exposure to the harsh environment then this system can save you from dull and problematic skin. Some facts between Olay Regenerist and Clarisonic Mia for overall comparison. Have you used any Cleansing system and which one is your favorite?